Scientists at Florida Gulf Coast University have proposed a carbon-free way to desalinate water using geothermal energy. With water shortages increasing and rising global temperatures exacerbating drought conditions, countries such as Saudi Arabia are turning to desalination plants to provide drinking water to their residents. But the method requires a high amount of energy, which can limit the use of the process in many parts of the world. 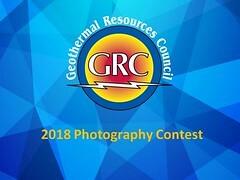 Dry rock geothermal potential is more wide-spread globally. Missimer suggests using these areas—regions like southern California, North Africa, and the Red Sea region — to heat water that can be used to produce energy.